The Singing Cooks And Waiters restaurant is a good place to dine in Pasay especially when you are touring foreign friends or balikbayans around. This is a good, entertaining spot to bring them to. The cooks sing and dance as they prepare your food while the waiting staff sing and dance as you feast on their food! 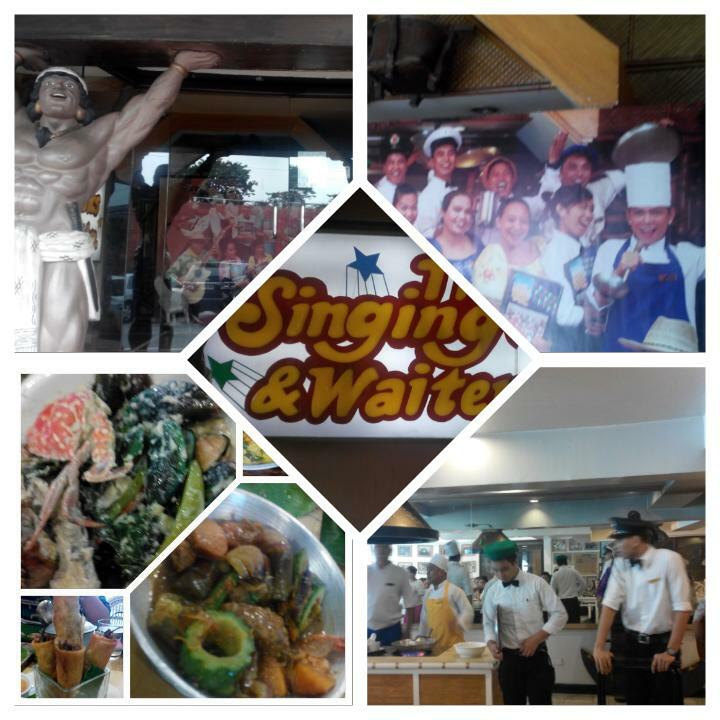 The Singing Cooks and Waiters do create a happy atmosphere for everyone. You can even request them to sing your favorite songs! You guests will definitely be amazed at how good the vocals are. Ginataaag Sitaw at Kalabasa (P 360) is Butternut Squash and Yard Long Beans in Coconut Milk. Flavorful coconut milk mixed in with flavors of this simple but delicious dish never fails to hit the spot! Pinakbet (P 360) is a medley of vegetables sauteed in bagoong shrimp paste. Lumpiang Jalapeno (P 280) is a spicy starter dish made of Jalapeno Poppers. It is bigger than the Dynamite Spring Rolls I got used to but it was crunchy and hot like I want it. The fierce burning sensation it gives is just how the dish really adopted its name. You can eat it as is or stick it into your favorite dipping sauce. 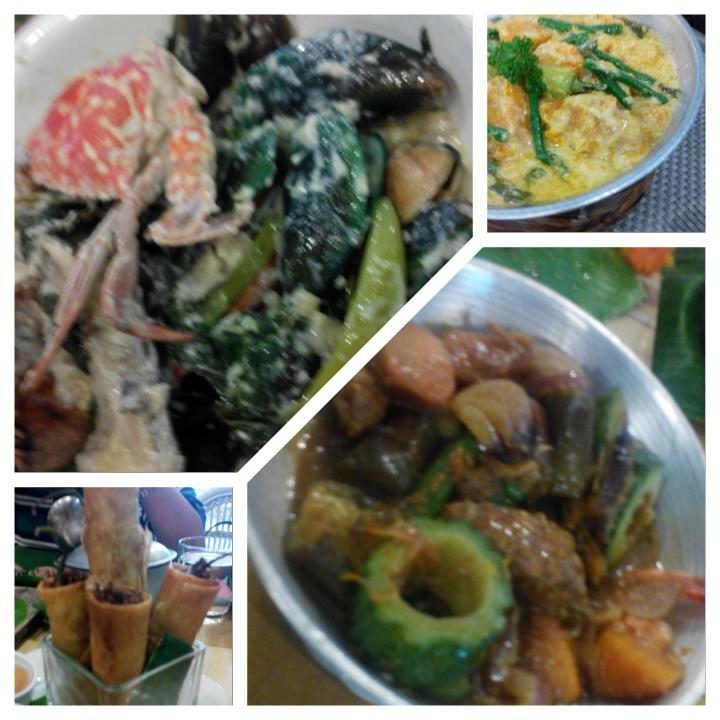 Seafood sa Gata (P 650) is simmered squid, crab, mussels, clams, shrimps, catfish and river spinach in coconut cream. This dish is similar to Ginataaag Sitaw at Kalabasa made even special with a symphony of seafood flavors cooked in bamboo. Kalderetang Baka (P 510) is my favorite dish of all time! 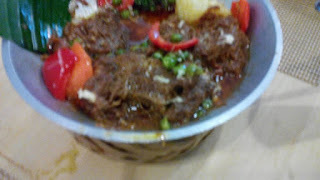 Their take on this tender braised meat was really delicious. I highly recommend that you give this dish a try. 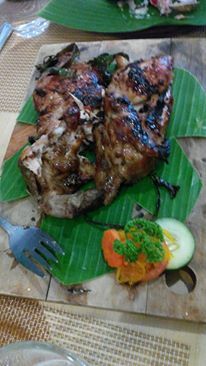 Chicken Tinupig (P 560) is chicken marinated in coconut's milk, wrapped in banana leaves and then cooked over the grill. I so love how they cooked this sweet, smoky chicken giving it that much latik flavor boost right down to its core! I helped myself to second servings without even touching the side sauce that comes with it. 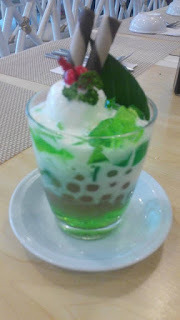 Coco Loco Frost (P 140) is a cold, sweet dessert made with coconut strips, tapioca pearls, nata de coco and pandan jelly. It is topped with vanila ice cream and stick-o. 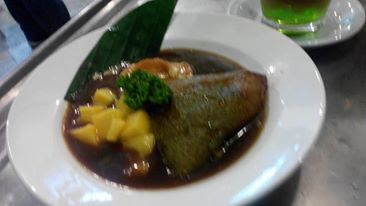 Suman sa Latik at Mangga (P 230) is one good way of enjoying the traditional Filipino rice cake (made from glutinous rice). This delicacy has a generous serving of latik sauce (sugar and coconut milk mix) topped with generous mangoes slices. I am used to eating suman with plain latik (residue left from simmering coconut cream) plus sugar, sweetened grated coconut (bukayo) and ripe mango on the side. This take on suman makes it an even extra special treat! Overall, The Singing Cooks and Waiters satisfies my yearning for happy times with family over good, home-grown food the elders used to prepare for us. It was nostalgia really. So if you and your family are up for entertainment or simply craving for lutong bahay food this weekend, do visit The Singing Cooks and Waiters. Sounds interesting this particular resto. Not only the customers are satisfied with the foods the cook prepares and the waiter delivers, but they do entertain them by singing and dancing. The extra mile they do in entertaining guests is a plus factor for return customers. It would definitely be a trip down memory lane for your mom. 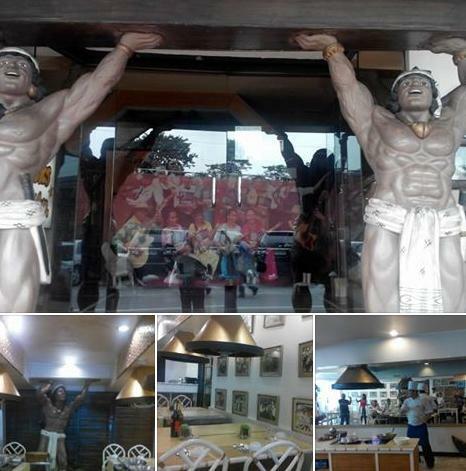 Can't wait to visit this resto in Pasay when I get there next week. Nakakatuwa naman! I've been here before and really great to have these singing workers while eating and bonding. Still, they're serving Filipino foods.